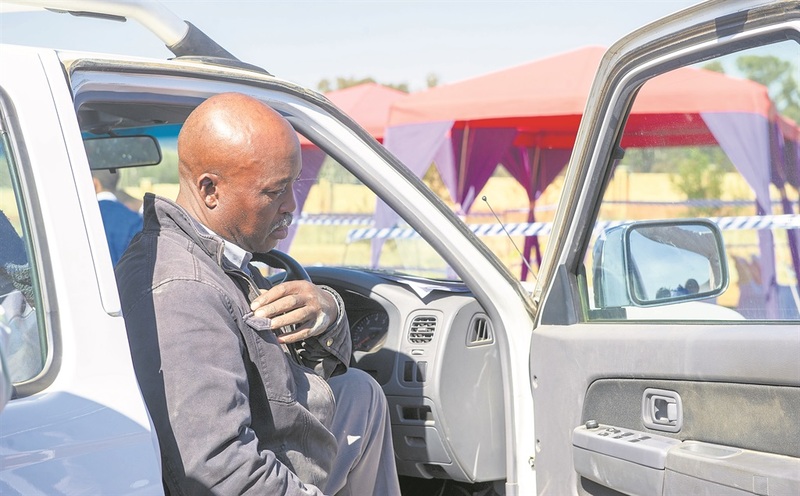 The Ennerdale father who shot and killed his son after mistaking him for a hijacker does not deserve to be prosecuted for it, the boy’s mother said during his funeral. Sixteen-year-old Luyanda Tshabalala was buried at Olifantsvlei cemetery in Soweto yesterday. His father, Sbusiso Tshabalala (51) stood to one side, crying uncontrollably and covering his face with his hands. Luyanda’s mother, Sphiwe Khalishwayo, yesterday told City Press’ sister publication Rapport that she does not blame Tshabalala for her son’s death. “It was an accident. He just got a fright and shot him by accident,” she said. “He doesn’t deserve to be prosecuted for this. He can’t be removed from society because he has other children that he has to care for. “He had a reason to have a firearm with him, just like the rest of the country. He has to protect his family from criminals,” she said. On Tuesday, Luyanda’s father and other parents were waiting in their cars outside Fred Norman Secondary School in Ennerdale, southern Johannesburg, for their children to finish extra accounting classes. In his statement made to the police, he said he fell asleep while waiting. “I woke up to the loud noise of somebody tampering with the car. I immediately thought somebody was trying to hijack me. I pulled my weapon out and fired a shot in the direction of the noise. Tshabalala, a security official at a police station, did not want to talk about his son’s death yesterday. Timothy Tshabalala, a family member, said this was a double tragedy. He said there was nothing the family could do to make things better. When Tshabalala appeared in the Protea Magistrates’ Court on Thursday, Magistrate Maggie van der Merwe called it a tragedy and said it would be in the interests of justice for the father to be released. Yesterday, Luyanda’s devastated classmates sat in the Temple Agapse Assembly church, their eyes red from crying and listened to tributes to their friend. In the funeral programme, Luyanda was described as a top achiever who was always among the top 10 in academics and who achieved first place in a debate competition at district level. Luyanda was a Grade 11 pupil and deputy chairperson of the school’s student representative council. What can be done to prevent deaths like this?